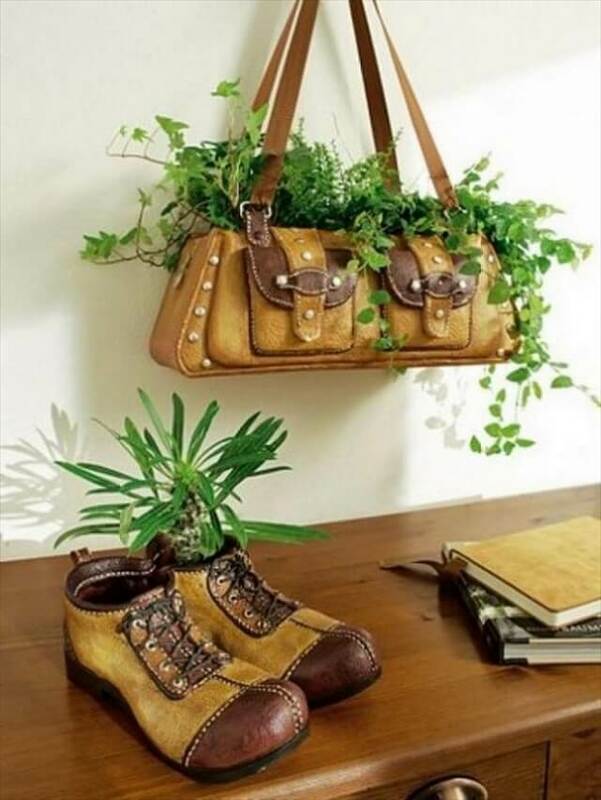 Almost every house on earth faces the problem of clutter in their houses which really ruins the pristine image of the whole decor and setting. 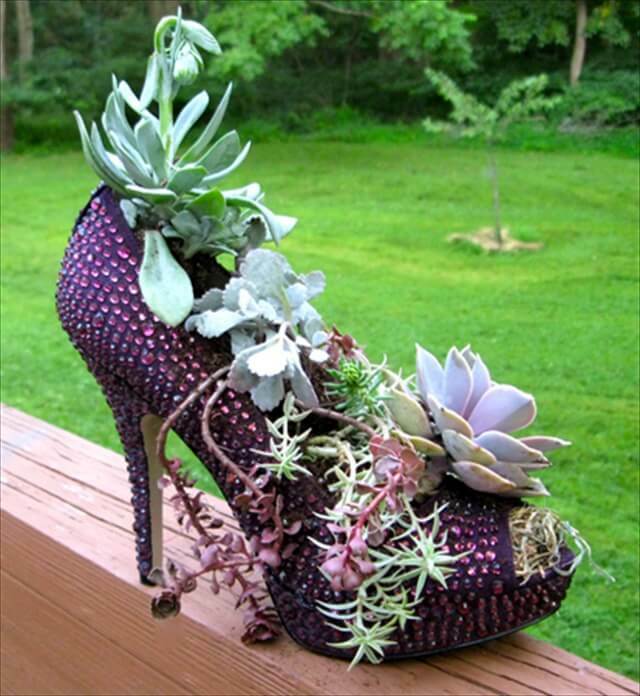 And the most clutter creating items at each home are shoes or any kind of foot wear. 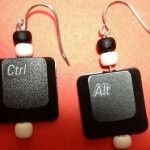 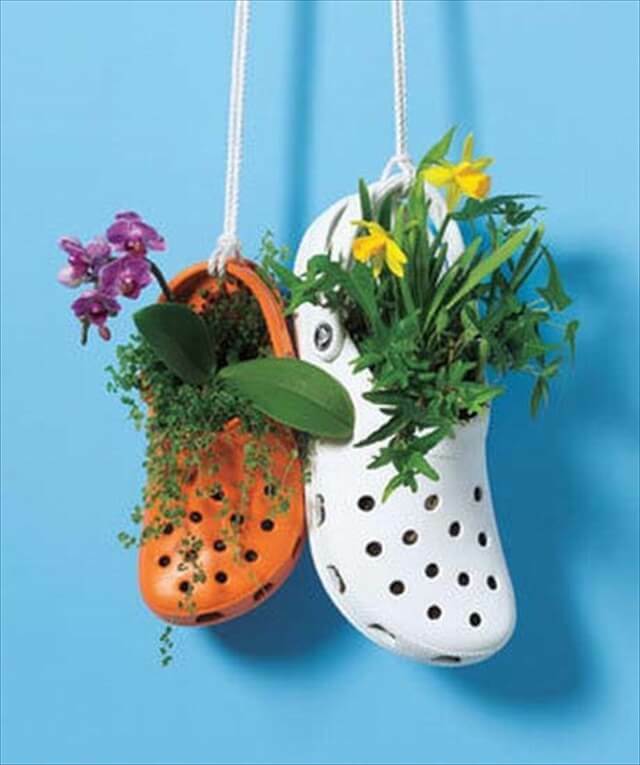 The situation get worse when most of the pair have retired and outlived their life, and you don’t know what to do them as you can’t throw them for, a bunch of money has been splendid on their purchase. 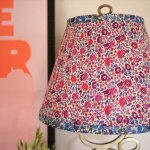 Don’t not worry at all as we the DIY department is always there to help you out from such tangling situations and to lessen the tension lines from your forehead. 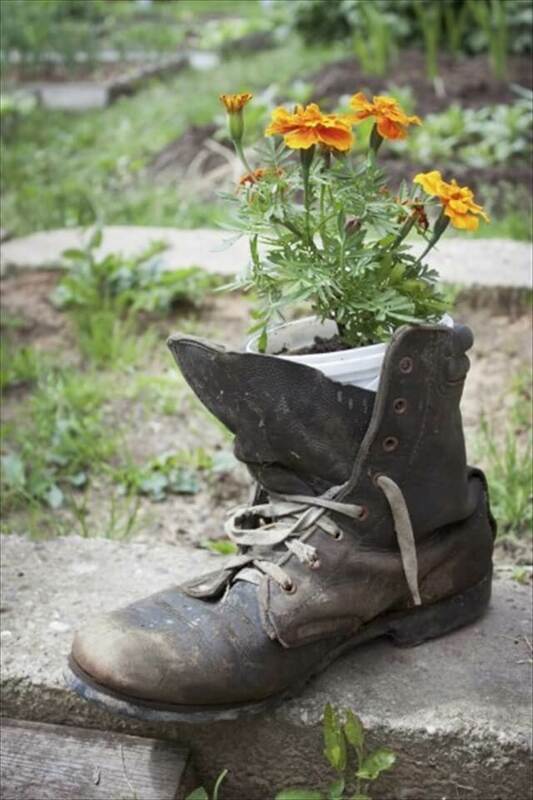 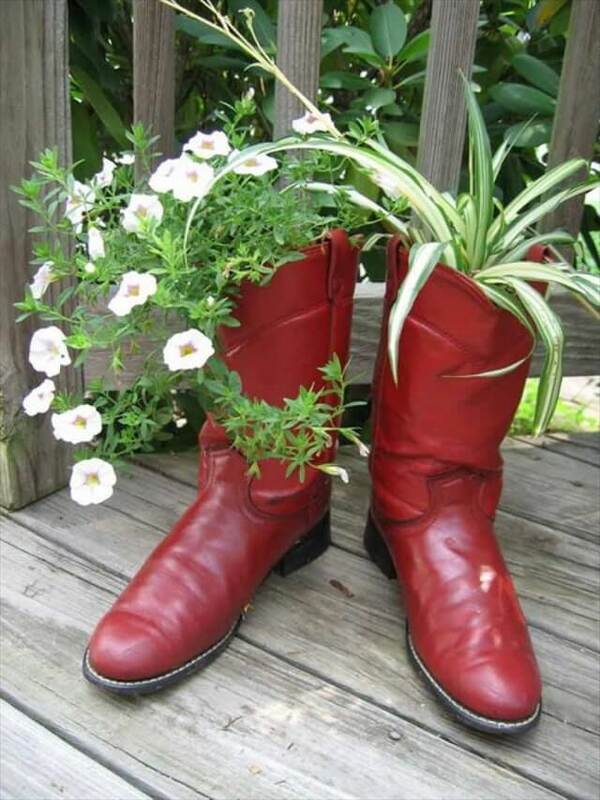 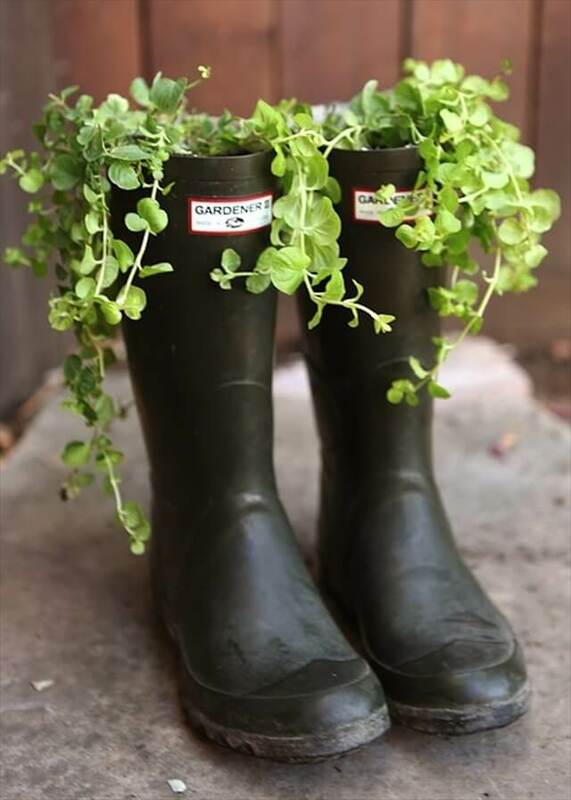 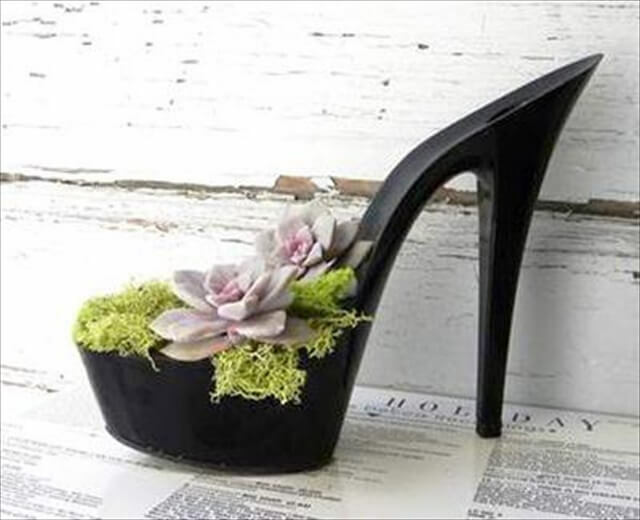 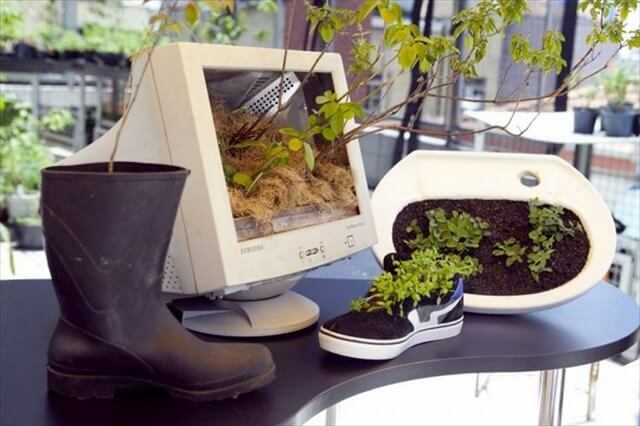 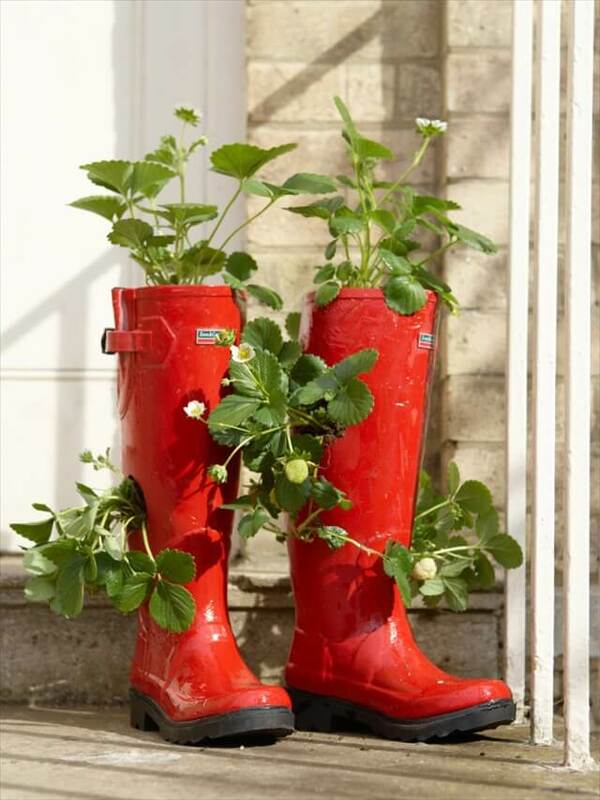 Here we have collected some amazing ideas that would teach you how you can turn your old and worn out shoes into some gorgeous and stand out pieces of garden planters. 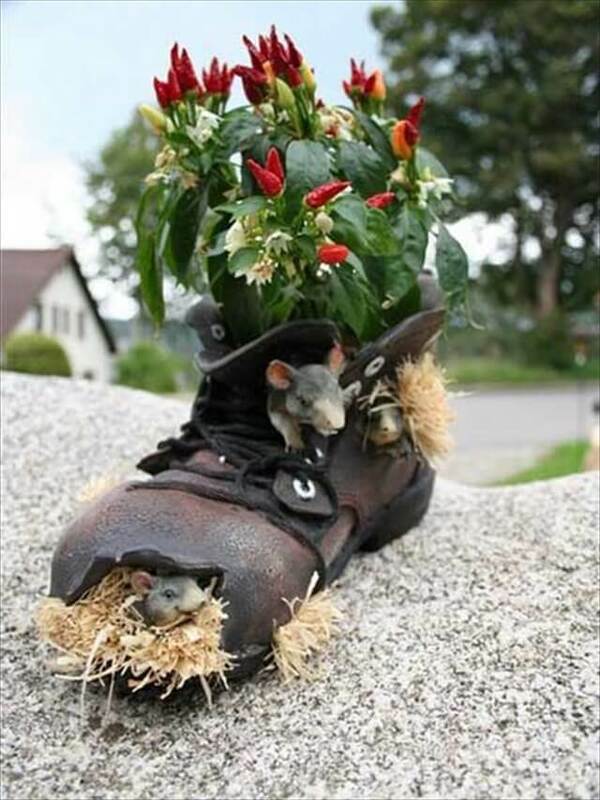 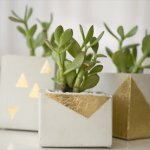 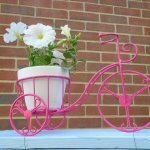 Just go through the 22 DIY planter ideas, and you would easily get it that how you can turn your shoes, heals, sneakers and long boots into some unusual and extra ordinary flower, plant and herb planters. 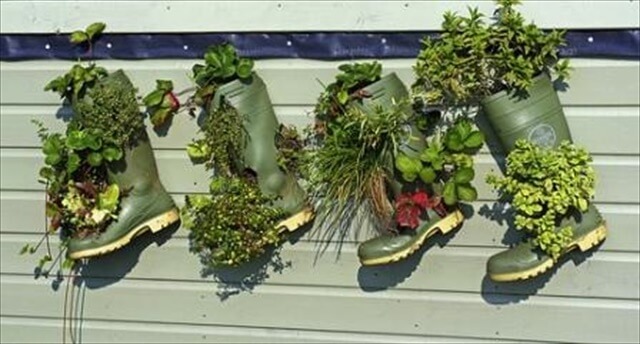 This is the best way to recycle your old shoes and thus saving money from the buying of planters and containers for the plating purposes. 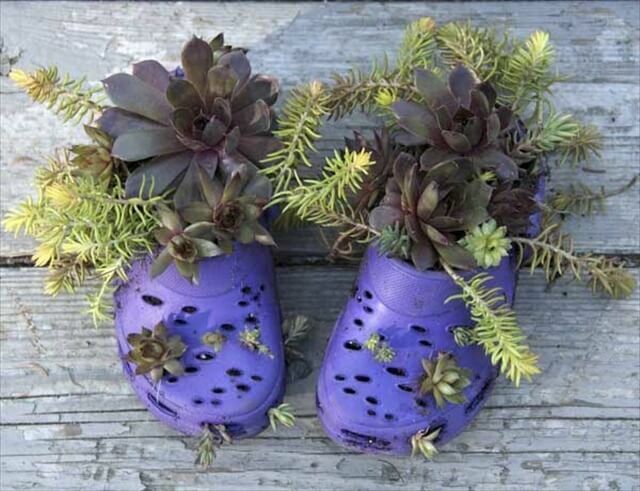 These shoe planters would add many style statements to your garden decor and can enhanced more with a little paint and button or beads work on them.